And on Friday, Sept. 26, Bourbon’s Bistro will offer a Bourbon 101 class in its private event space to coincide with the F.A.T. Friday Trolley Hop. Guests will be provided with a flight of bourbon and some taste training. Cost is $20, and reservations can be made by phone or email. The class is part of a six-course series led by Ice House Director and wine guru Erica Schell. A cash bar will be open for refreshments before and after the tasting. Tickets are $20 Space is limited. 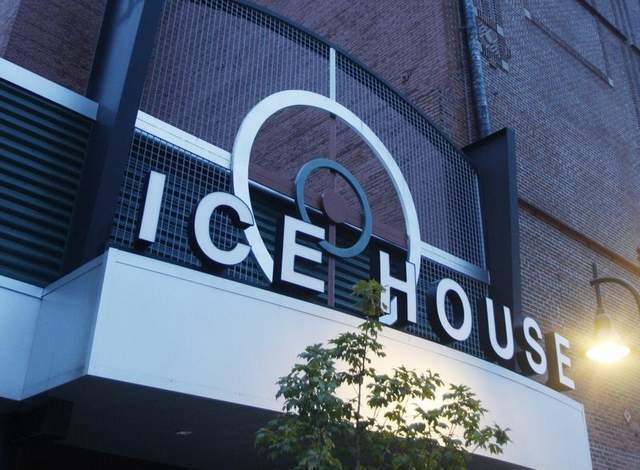 Call (502) 589-4700 or go to www.IceHouseLouisville.com. The rear patio is how open and serving drinks and small plates at Louvino, 1606 Bardstown Rd. The attractive enclosed space, a few steps below the parking lot and effectively screened off from with with wood paneling and abundant potted greenery, will provide fresh air, and shelter from the elements and perhaps the high-decibel count of the popular interior. Chef Dustin Staggers, who has made The Monkey Wrench, 1025 Barret Ave., an affordable dining destination, will leave his position as Executive Chef there to concentrate on the early October opening of his new restaurant, Roux, 1325 Bardstown Rd. Staggers will continue as Executive Consultant at the Monkey Wrench, a reduced role that will have him designing menus and assisting in event execution. His two Sous-Chefs, Janelle Hall and Tyler Vogt, will be in charge of the Monkey Wrench kitchen. Every Friday in September, one or more food trucks have been on the Yum! Center plaza from 11 a.m. to 2 p.m., adding to the lunch choices for the business crowds in the area. Sept. 19 look for Pollo, Genius in a Box and Get it on a Bun at Booty’s Diner. On Sept. 26 Boss Hog’s BBQ will be smoking.